Our home is a fully-furnished, beautiful house in Telluride, the festival capital of the Rockies, across the street from the town park and two blocks from town. We have four decks, one from the kitchen, one from great room, one from guest room, and one from the master bedroom, all overlooking majestic mountain peaks. All the flooring is wood or slate with in-floor heating. Our home has an amazing kitchen with high end appliances including a SubZero refrigerator, Viking stove, double oven. It has an island perfect for a family or cocktail party! We have high-beamed ceilings throughout the house to create a wonderful feeling of openness! Enjoy a barbecue feast on outdoor furniture on all decks. We encourage families or extended families to stay at our home. The ambiance is quiet and private. There is FREE shuttle service to town, gondola and ski area so very convenient and central. We have unobstructed views of Bear Creek, Ingram Falls, Bear Creek and ski area. Walk or ride the river trail right outside the door. Enjoy a beautiful stone fireplace in the great room and a heated driveway! The master bedroom has a king-size bed with full bath, steam shower, and deck for relaxing or reading while viewing majestic peaks. Guest room has queen-size bed with full bath, steam shower, and deck. The two additional bedrooms each have bunk beds with trundles, bay windows, and huge shared bathroom. We have a large, beautifully landscaped yard. The comfortable media room has apple TV, Sonos and lots of room for everyone to enjoy the entertainment. We built our home 12 years ago for our family. We live in Laguna Beach when we are not in Telluride. The family has spent many summers there and we ski as much as we can. It is an amazing family place. Telluride Academy, a camp for kids, is the best!!! We built this home for our family, our kids were ages 2, 1 and 1 when we build it. The town is an amazing family town. It is safe, friendly and has everything anyone needs (other than an ocean!) We spend our summers at our home in Telluride and we have made some of the best family memories ever!!!! Darling small town with lots of shops, bars, restaurant, a theatre and lots of hiking and biking trails. We have beautiful mountain views from every deck. in the front, we have unobstructed mountain views. Fantastic house with great amenities and so close to town. Our family of 5 (2 adults, three children) stayed at Marla’s place for two and a half weeks this winter. The house exceeded expectations in terms of size, design and layout. We loved the large kitchen area, the lounge area looking out to the mountains and the downstairs TV room for watching movies after skiing. Plenty of room for everyone in the family. The house is very close to town (an easy walk) and almost across the street from Town Park where the Galloping Goose can drop you off/pick you up. Communication with Marla was great from start to finish. Thank you so much Andrew for your wonderful review. We are so happy you enjoyed our home. You are welcome back anytime. Your home was perfect for our family of seven! The house was clean, beautifully decorated and very comfortable. But the location was the best! We were able to walk to everything. With the sledding park being across the road, our eight year old grandson couldn’t have been happier. We fell in love with the town of telluride and hope to visit again. Thank you for sharing your home! Love the upstairs open floor plan and breath taking views from the deck. Thank you. It was wonderful having you stay at our home and enjoying Telluride. 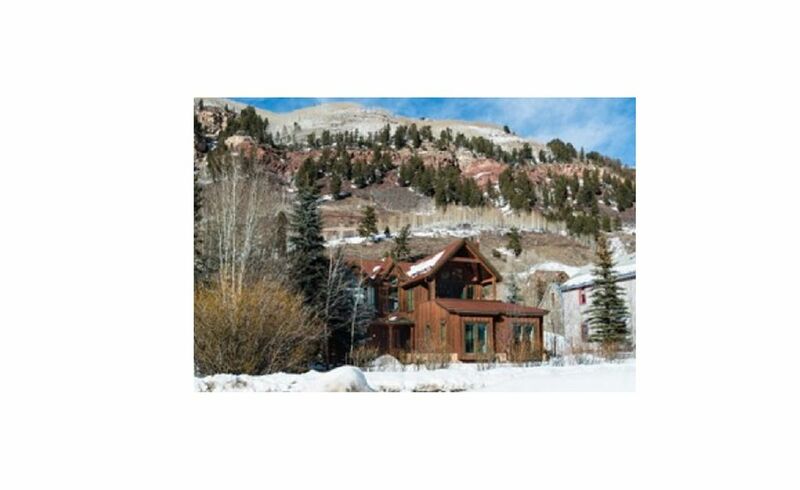 We have stayed in a number of houses and condos in Telluride, and this one is by far the best, nicest one. The kitchen is well appointed, the bedrooms easily fit our party of 10, and the yard is awesome. We spent hours on the upstairs porch looking at the view! We highly recommend the Hodes House!